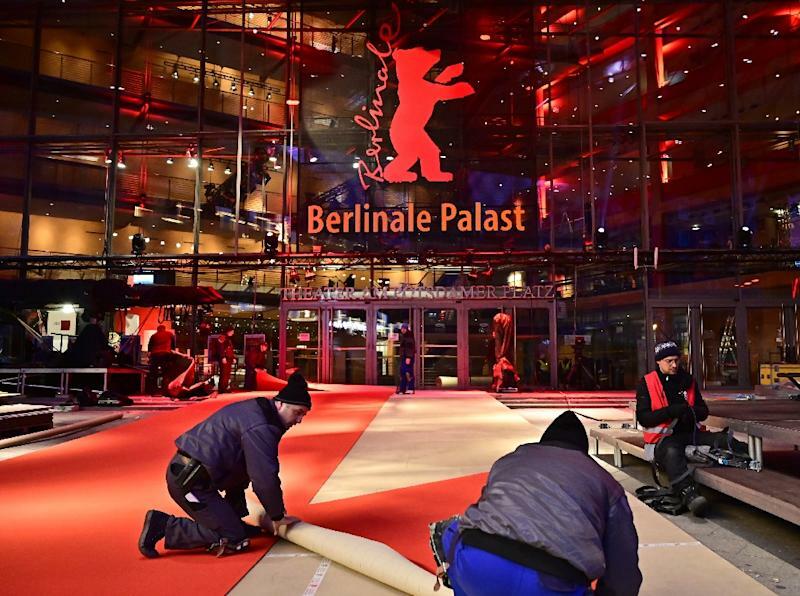 Berlin (AFP) - True to its nature as a socially conscious film festival, this month's Berlinale showcases a string of unflinching climate change documentaries raising the alarm about mankind's destructive behaviour while proposing some solutions. Among the Berlin festival's highlights is "Anthropocene: the Human Epoch" filmed over three years on six continents, with stunning panoramic shots to show the devastating and at times terrifying ways humans have altered their landscape. "We have reached an unprecedented moment in planetary history. Humans now affect the Earth and its processes more than all other natural forces combined," said Jennifer Baichwal, the film's Canadian co-director. From concrete seawalls built to preserve the Chinese coast to the pockmarked moonscapes created by Germany's coal mines, rising sea levels in Venice and deforestation in Nigeria, the film shines an unforgiving spotlight on mankind's footprint on the planet. Calls for increased awareness come as the United Nations confirmed last week that the past four years were the warmest on record, fuelled by a rise in emissions of man-made greenhouse gases. Other startling statistics reveal human activities have pumped more than 390 billion tonnes of climate-altering carbon emissions into the atmosphere since the Industrial Revolution, while the amount of plastic produced has soared from 2 million tonnes annually in 1950 to around 300 million today. Nevertheless, climate change scepticism persists with leaders like US President Donald Trump and Brazil's Jair Bolsonaro doubting mankind's responsibility for global warming. But even countries that acknowledge the human impact, like Germany, are struggling to meet targets for reducing carbon dioxide emissions. In "Earth", Austrian filmmaker Nikolaus Geyrhalter focusses on our insatiable appetite for nature's resources by turning a critical lens on the tools used to alter the world's geology, like the gargantuan industrial machines deployed to hollow out the earth or move mountains in the interest of mining. "You have to wonder what people will think in 40 or 50 years from now about the things we're doing today," Geyrhalter, who also directed the 2005 food industry documentary "Our Daily Bread", said at the Berlin film festival. "Technology progresses faster than people can really comprehend." In "Earth", he singles out the environmental blunder that happened at a former salt mine in Wolfenbuettel, central Germany, which was turned into a site for storing nuclear waste in the 1970s. After residents were reassured the move was totally safe, it emerged decades later that experts had underestimated the risks of groundwater contamination, prompting years of political and scientific wrangling on how best to decommission the site. Cutting through the bleakness, the Berlin festival also offered eco documentaries that give a more hopeful view of the future. Australian director Damon Gameau's "2040", conceived as a visual letter to his four-year-old daughter, explores what the world could look like in the near future if people adopted the best technologies and practices already available to save the planet -- and asks children what changes they want to see. The solutions proposed range from more solar energy and electric cars to greenifying cities, farming at sea and reducing inequality. To achieve this, "it is going to take a monumental effort from all facets of society," Gameau told AFP at the festival. "We know that 50 percent of emissions come from the wealthiest 7 percent of the population and that 71 percent of emissions come from just 100 companies. Perhaps this can narrow our focus?," added Gameau, who made his name with 2014's "Sugarland" about the insidious effects of sugar on our bodies. Also opting for a more optimistic take on tackling the planet's woes is "The Biggest Little Farm", which chronicles US director John Chester and his wife Molly's battle to turn a drought-hit, supposedly infertile piece of land near Los Angeles into a thriving, sustainable farm -- with a little light relief from Emma the pig and Greasy the rooster. The moving portrayal of a pair of idealists searching for balance with Mother Nature, and the trials they encounter along the way, makes the case for eco-friendly agriculture and livestock farming free from pesticides and drugs. "Obviously I don't think that we alone or any one farm alone can change the climate crisis. But I think that if we each do our part for the ecosystem then that will be how we solve the problem," said the farmer-filmmaker.